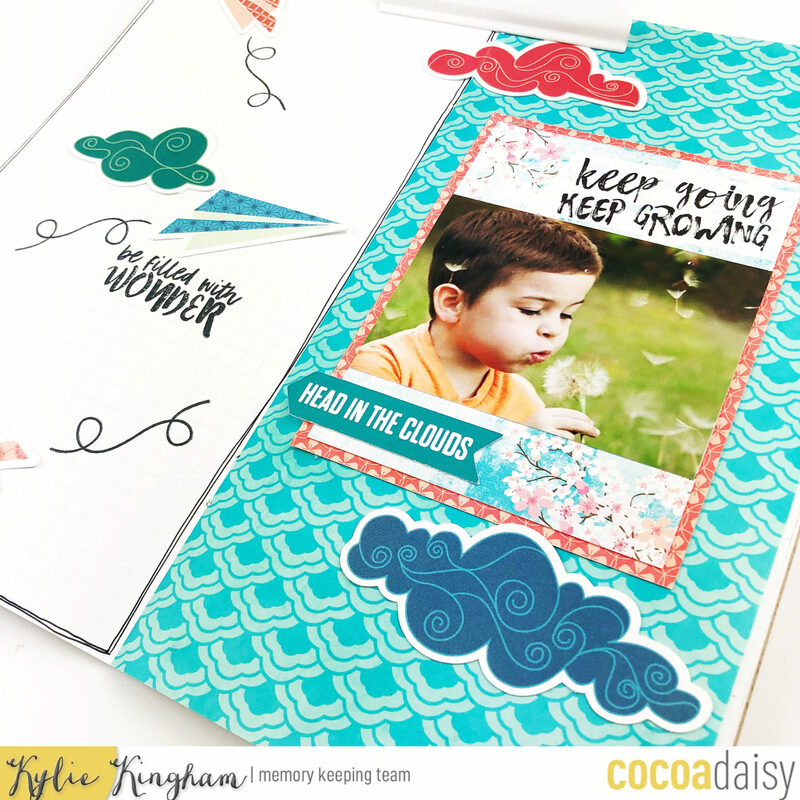 It’s Kylie & Jil with you all on the blog today and we are sharing some TN pages based around the prominent cloud theme that features with the April TN Memory Keeping kit. 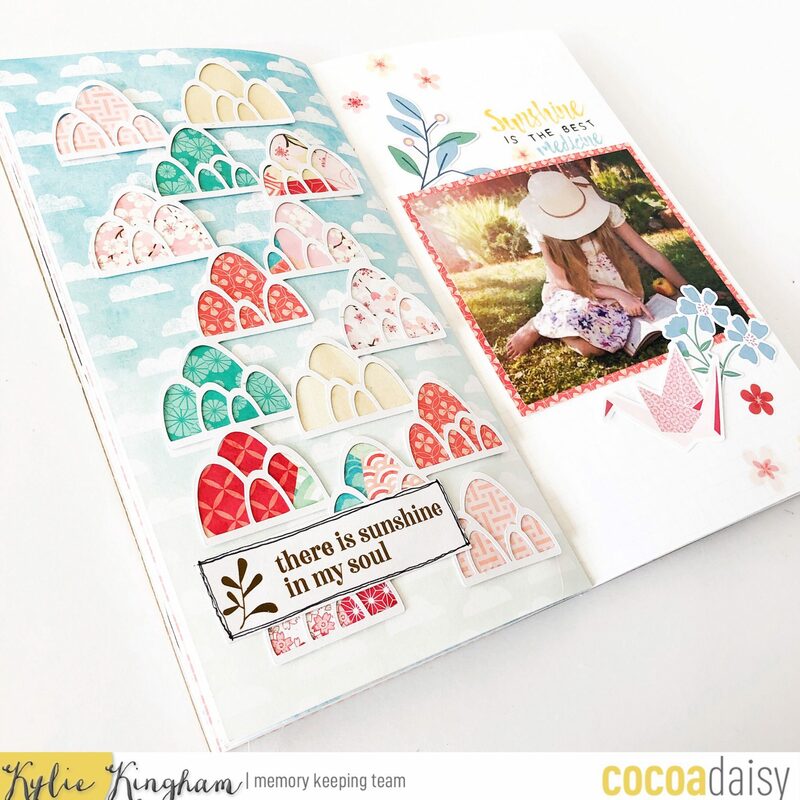 First up is Jil’s beautiful pages and she has combined elements from both April’s Cherish Blossom kit and May’s Picket Fence kit. 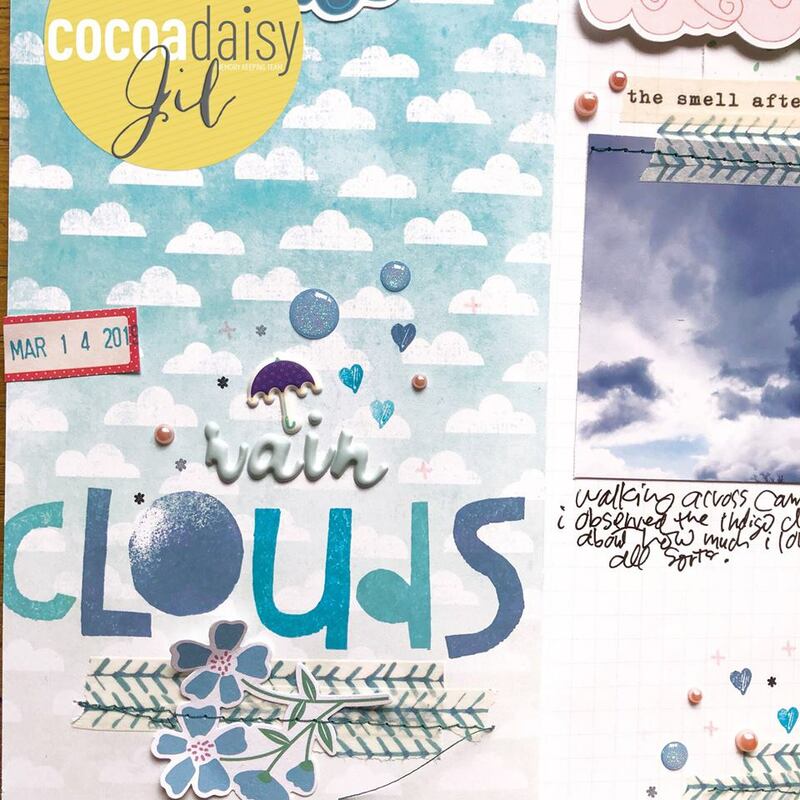 I used a mixture of Cherish Blossom (for clouds) and Picket Fence (for all those gorgeous blues and the washi tape). I pulled die-cuts and stickers from the Classified: Memory Keeping kits from both the March and April kits. 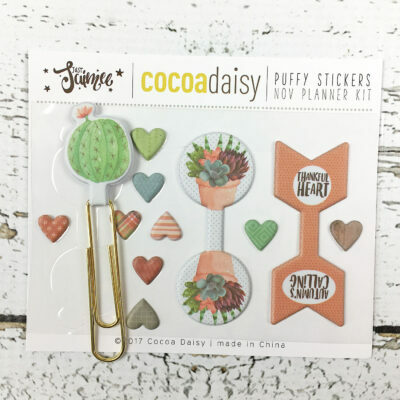 I love that round bird sticker! 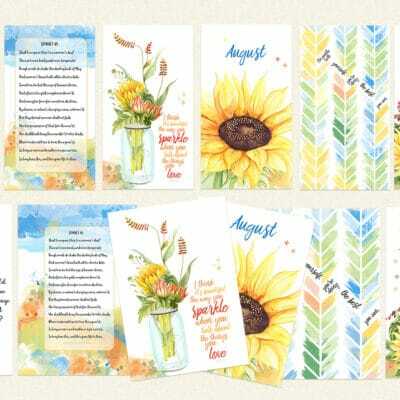 And the phrase washi is from the Picket Fence TN kit. 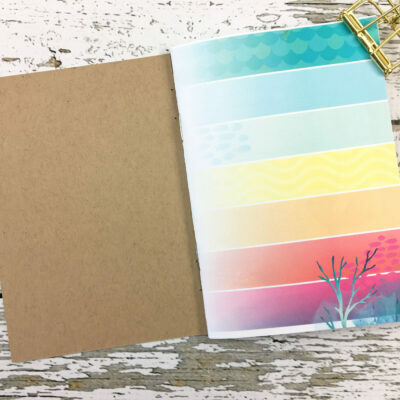 The background on this side is a piece of paper from the Cherish Blossom planner kit. 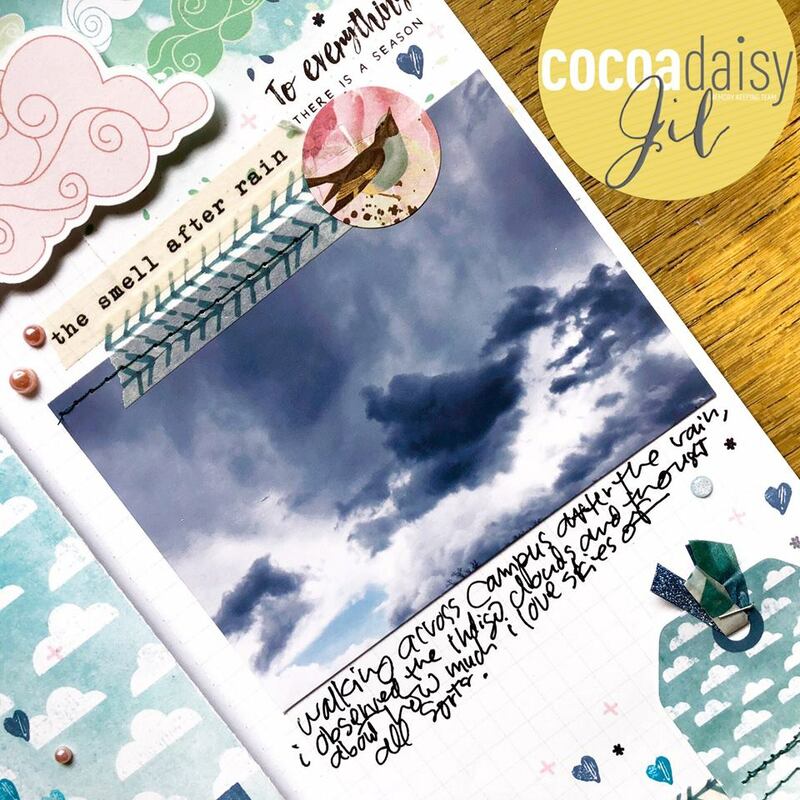 I’ve created two pages in my April Simple Dori both centred around a cloud theme.I backed my photo with a card from the April Pocket Memory Keeping kit and also featured some of the paper plane die cuts. I added one of the fun swirl stamps behind them. 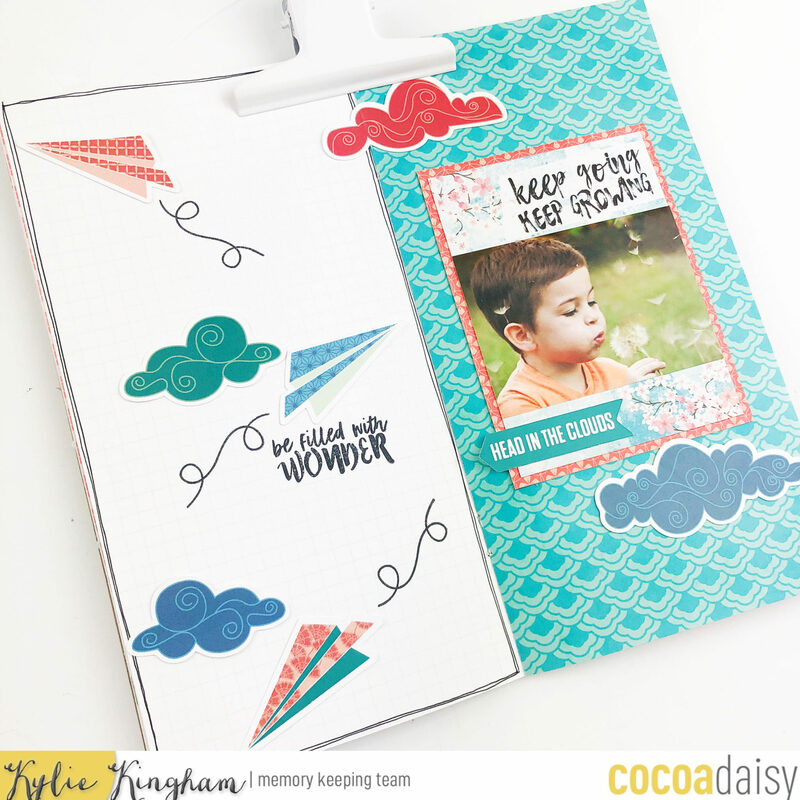 The colourful cloud die cuts were perfect for finishing off my page. 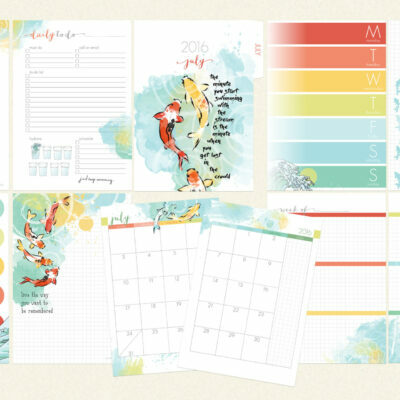 I always love working with cut files and enjoy adding some to the pages of my Simple Dori. 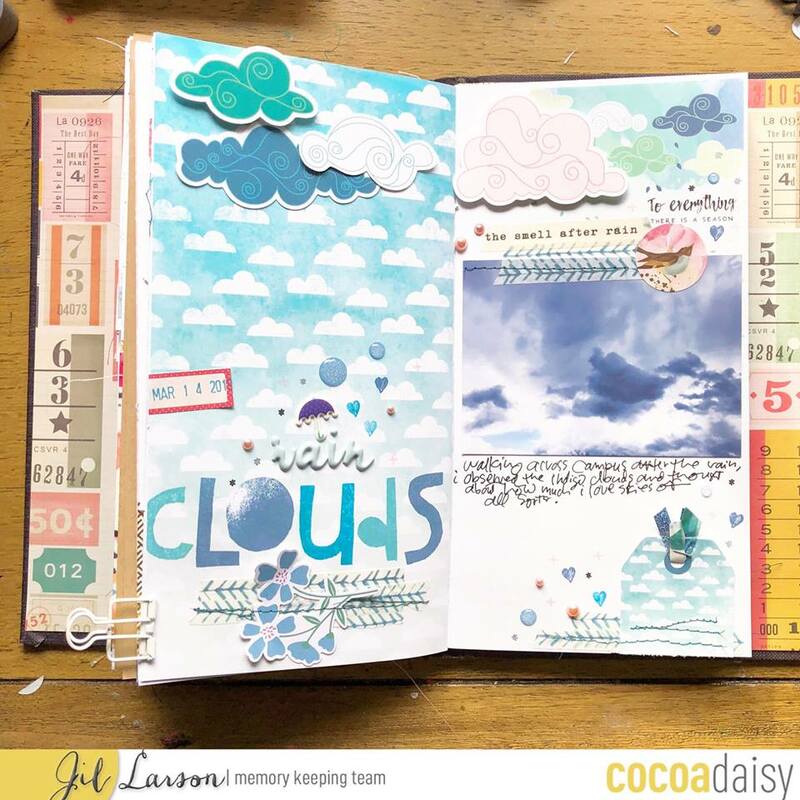 I created these pages based around a cloud cut file designed by Paige Evans.I’ve backed it with a rainbow variety of papers before adhering it to the cloud print page. 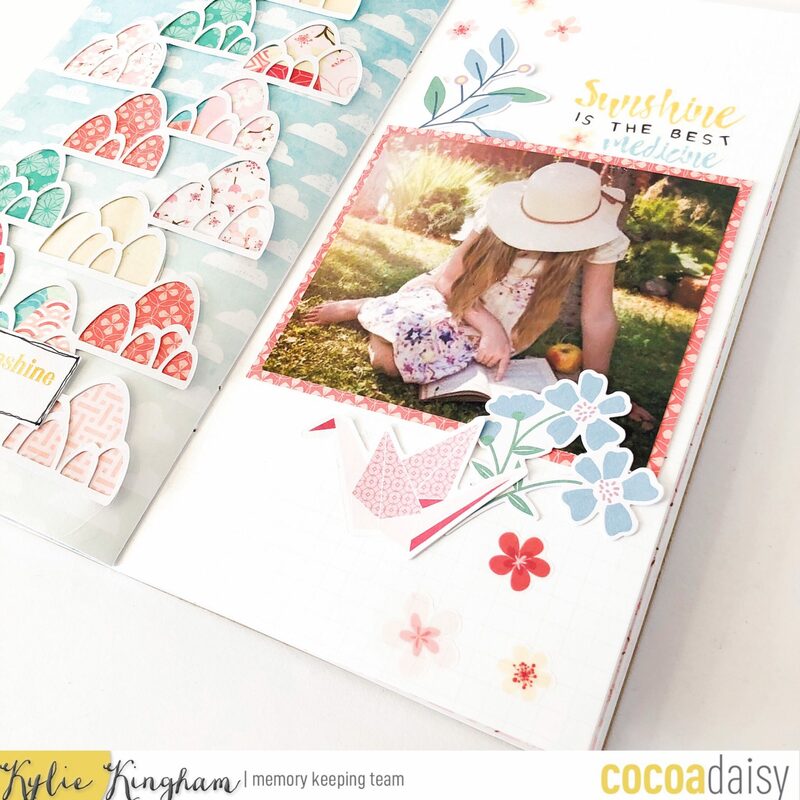 To complete my pages I have added some die cuts from the April Classified Memory Keeping kit as well as stickers from the Memory Keeping Sticker kit. I have also filmed a short process video of how my pages came together. Thanks for stopping by the blog today! We hope you have enjoyed seeing our Cloud inspiration.